This week, I offer three brief thoughts about youths. The first follows the calling of young Jeremiah. the second is about the responses of youths and how energetic they are all over the world. The third is about the choices we make when we are young. Jeremiah was in his early twenties when he was called to be a prophet for God. Some Jewish commentators even put him as young as 14. The Hebrew word "naar" (young) can also be translated as a "boy" or someone who is not an "adult" yet. It is hard to pin down the exact age, so we can only identify clues in the passage. We know that God spoke with him and he heard it. God even brought him all the way before he was in the womb. Frankly, for a person that young, it is perfectly understandable. In our society, would we trust someone who had never been to college to be mayor of our city? Would we vote for a young chap under the age of 20 to run our municipality? In many places, people that young should be in school and not meddle around with adult matters. So we should understand where Jeremiah is coming from. Yet, there are biblical precedents of how the LORD overturned the common perceptions to remind us that in life, God always has the final say, not man. Moses was resisting his call by giving the eloquent excuse (Exodus 4:10). Solomon confesses his lack of maturity as he humbly requests God for wisdom to govern (1 Kings 3:7). Even Elizabeth was humbled when Mary came visiting. What would we do when the expectations of man do not match up with the call of God? Tough though it may be, I suggest we temper our doubts and apprehensions with humility. We need to check our hearts for pride. We need to ask ourselves about who is bigger: God or our needs? Where is faith? Thought: When young, if you are not reading the Word or receiving the Word, you are not being prepared for the challenges of life that are to come. "Our generation is the future of the nation." "We are future leaders of society." "Cherish the vigour of youth." The story of Chai Ling and her ragtag group of leaders is one example of how youth leaders led in the movement for democracy in China in the late 80s. Whichever political positions we hold, what is most admirable is the energy and boldness to go head on against the powerful Chinese bureaucracy. For many people, just speaking out against the central government is unthinkable, let alone mass protests and organizing student movements. Mass protests continued to rise on the crest of hope. The recent protest movements in Hong Kong is another case in point. What led students to stop attending classes, to camp out in the streets, and be ridiculed by people on the streets? On top of that, there is the threat of police arrests and government actions. Though the movements have largely subsided, what is most interesting in that they were all led by youths. If we can harness this vigour and energy, and youths can channel their ideals into worthwhile projects for the community, we will have in our hands a whole new generation that are not afraid to change for the better. The book, "Take Your Best Shot" tells the story of Austin Gutwein who was burdened by Zambians in Africa who had no money for medical treatment to battle AIDS disease. Five words captured his heart: "God wants to use you." 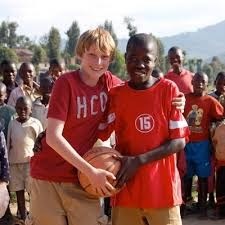 He didn't have any special skills, but he knew how to play basketball. So, he decided to simply do basketball free throws. On World AIDS Day, he shot 2057 throws for the sake of 2057 kids affected by AIDS in Zambia. His family supported him. His neighbours came alongside. Soon, the local media got wind of his solo efforts, and a book company published his story. You can watch a Youtube video of his amazing story. How old was Gutwein when he started this project? Nine. Thought: If you are young, or know people who are young, what are you doing with your time and resources? Do you know that you have within yourself an amazing opportunity to do your part in changing the world? doesn't brand you as a failure. "I felt that I was simply there to make sure the children of the upper class stayed in the virtuous cycle that would keep them in the upper class." So much so for fair play. That is another way of saying that he is helping the elite to stay in the elite. If students were fortunate to have wealthy parents, they can opt for a parents' "scholarship" to study anywhere on earth. If their parents were from an Ivy League, they would get a leg up on the application process. This can be downright discouraging for those of us who have invested lots of resources in helping our children do well academically, only to be let down by our lack of contacts or societal influence. Well, life is a lot like that. In the business world, it is often not what you know but WHO you know. If you are Christian, there is something more pertinent: Do you know God? If you have all the right connections, there is no fear in landing a good job. While thousands are chasing after a few measly job opportunities in the public newspapers and online job sites, many more jobs are never publicized. I have even heard of jobs being specially created for the well-connected individual. Some people are discouraged about the lack of jobs. Even those who did well in their academics will also not have it easy. That is why I often say that one can score all As in exams but still flunk life. Here is my musing. What about our connection with God? We can be so clever in the world but end up becoming fools when it comes to spirituality. Getting options is one thing. Choosing them is another. Obtaining excellent results do not necessarily mean we automatically choose well. 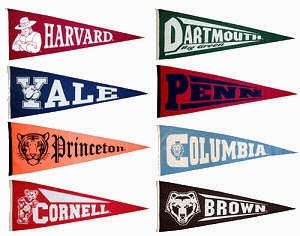 In fact, some of the worst decisions are made by people from Ivy Leagues, who topped their schools, and who seemed to be the cream of the crop of their generation. When we are lost about what to do, seek wisdom. Seek discernment. Seek godly advice. Pray. Listen. Perhaps, in the seeking, in the praying, and in the listening, we can hear the gentle whisper of God to us about what we can do. We can discern in the wisdom of God. We can move forth in the boldness that the Spirit will embolden us toward. Thought: If we are young, we are often trapped by choices and lost when it comes to decision making of what to do with our lives. Take a step back and seek wisdom. For the promise of God is that if we ask, seek, and knock, we shall receive, find, and see the door of hope open to us.